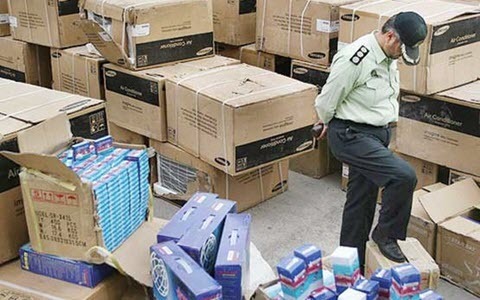 NCRI – Items smuggled into Iran has increased by more than half, compared with the same five-month period in 2016, according to the commander of the Iran regime’s Police Crime Unit. 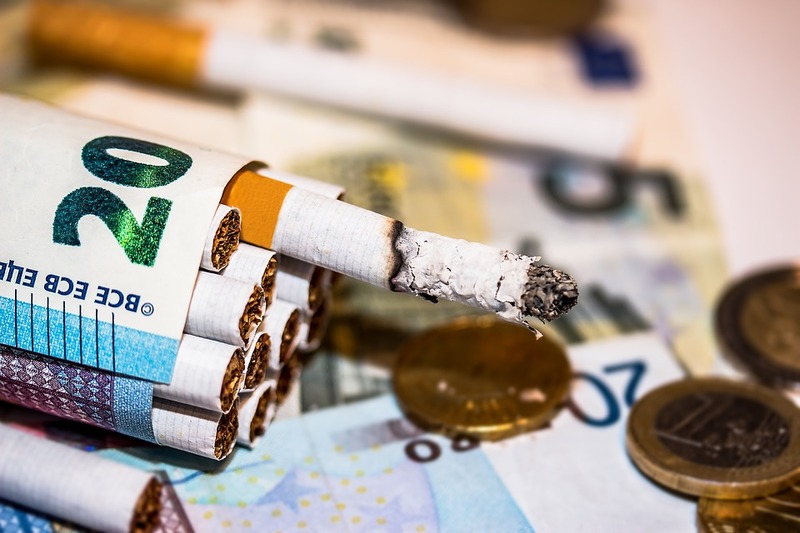 The European Union is set to implement a system to track and trace tobacco products all along the supply chain this May, in line with the Tobacco Products Directive it passed in 2014. According to EU officials, the scheme meets a mandate from the WHO Framework Convention on Tobacco Control (FCTC) Protocol to Eliminate Illicit Trade in Tobacco Products, to which the EU is a party. Track and trace systems have the potential to be vital tools in the fight against the illicit tobacco trade. Under-the-table smokes are “the commodity of choice” for organised crime groups, deprive governments of badly-needed tax revenue, and undermine public health initiatives by making tobacco products available at cheap prices, most importantly to highly price-sensitive groups such as young people. The EU is by no means immune to the parallel trade in tobacco products, which costs the bloc’s governments an estimated €10 to 20 billion a year; illicit smokes make up roughly 10% of European consumption. What’s more, in some areas of the Union, the situation is getting worse. Tobacco smuggling across the Lithuanian-Belarusian border nearly doubled in 2018, and there are grave concerns a no-deal Brexit could lead to rampant illicit trade across the Irish border. Against this backdrop, the May rollout of the EU’s track-and-trace scheme is welcome news. Unfortunately, the system the European bloc is planning to implement has already drawn substantial criticism from MEPs and public health bodies, who argue that the scheme is not independent from the tobacco industry. The WHO Protocol specifies any track-and-trace system must be clearly separate from the tobacco sector’s influence; tobacco manufacturers’ long history of obstructionism and complicity in the smuggling of their own products indicate that they simply can’t be trusted. As recently as 2014, British American Tobacco (BAT) was fined in the UK for deliberately oversupplying overseas markets which it knew would make it into the hands of smugglers. These various concerns underpinned Romanian MEP Cristian-Silviu Busoi’s January seminar on how to stamp out the parallel tobacco trade. Another, similar, debate will be held on Wednesday, February 27th, helmed by MEP Younous Omarjee. Both Busoi and Omarjee are suggesting that the Tobacco Products Directive may need to be modified in order to ensure the EU’s track-and-trace scheme is made compliant with the WHO Protocol, a higher legal norm, and does not unduly entrust responsibilities to the tobacco industry. NGOs present at the January seminar, from the European Network for Smoking Prevention to the European Cancer League (represented by prominent anti-tobacco activist Luk Joossens), agreed that among the many key changes to the Directive would include making sure that data storage providers are not selected and paid by tobacco manufacturers. The International Tax Stamp Association (ITSA), which has challenged the EU system before the European Court of Justice on the grounds that it is in breach of the WHO Protocol, agreed that, among other things, any track and trace system should be placed under the protocol signatories’ direct control. Against the backdrop of this plethora of concerns, the European Commission representative at Busoi’s conference noted that the EU system is up for review in 2021. Our exclusive new infographic illustrates the shortcomings of the EU track & trace system. Leaving aside the security features aspect of the system, which is controversial in and of itself, the infographic highlighting its numerous discrepancies with the scheme provided for by the WHO Protocol. The WHO calls for a logical, linear process in which it defines a set of requirements for the Protocol’s parties to enforce. A public, open and competitive tender by the parties to the Protocol is supposed to select the best service providers, entirely independent from the tobacco industry, which then take on the key missions of “track and trace”: generating unique identifier codes, printing or affixing these codes to tobacco products, verifying on the production line that the codes are linked to the right products and providing governments with a database and related alert system. Public authorities, including customs, police forces and the judiciary, then have the means to control tobacco products all along the supply chain and convict those responsible for illicit trade. In contrast, the European system is highly convoluted. Member states only carry out tenders for the service providers charged with generating the codes, while the European Commission oversees the selection of database providers. 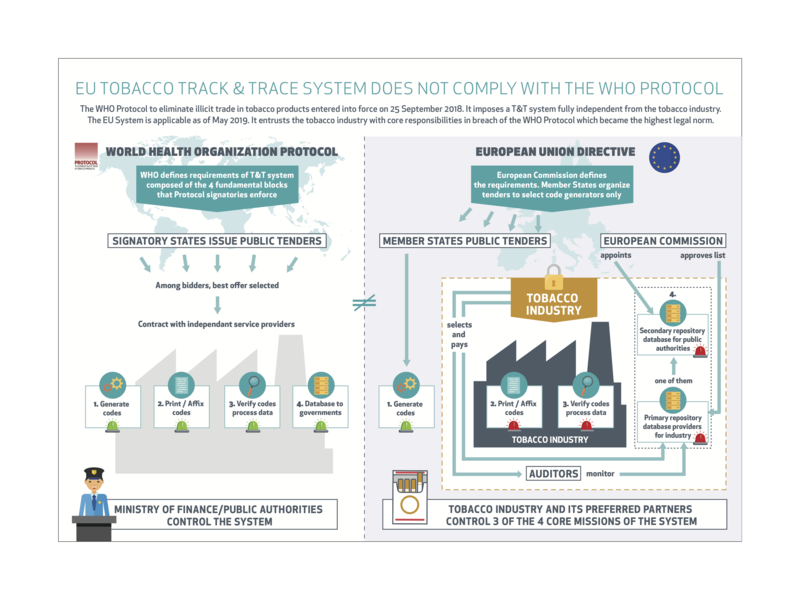 Most problematically, the EU scheme requires the tobacco manufacturers to both affix and verify the codes in their factories—two of the most essential steps of tracking and tracing tobacco products. The industry also has a hand in selecting and remunerating both the data storage providers and the auditors intended to oversee the system. Under this scheme, unlike that outlined by the WHO, separate databases are required, while tobacco manufacturers each select their own preferred partners for data storage, which transfers its data to the secondary repository for public authorities. The involvement of the tobacco industry and its network of preferred suppliers in three of the four core missions in the EU proposal understandably raise serious doubts about whether the data generated by the system will truly be objective, and whether its use by judicial authorities will be efficient in tackling the illicit tobacco trade. EU Health Commissioner Vytenis Andriukaitis has underlined that tobacco consumption is the single biggest cause of avoidable death in the EU, and expressed his hope that the implementation of track and trace would help Brussels crack down on the illicit trade which furthers it. Unfortunately, as it stands, the EU proposal falls short of what’s needed to effectively regulate the sector —and fails to fulfil the bloc’s obligations under the WHO Protocol. Big Tobacco is testing out a new strategy to hijack public health initiatives. Attempting to skew popular perceptions, industry body Tobacco Institute of South Africa (Tisa) is paying social media celebrities to promote the hashtag #TakeBackTheTax, in an aggressive effort to co-opt the fight against illicit tobacco trade. Tisa’s latest campaign is timed meticulously, following South Africa’s July announcement of proposed anti-tobacco legislation aimed at curbing advertising for tobacco and smoking in public places. The stringent Control of Tobacco Products and Electronic Delivery Systems Bill also includes measures to institute plain packaging, a ban on point-of-sale advertising and displays, and the prohibition of the sale of single cigarettes. Violators of the new law, if it is passed, would face fines and up to three months in jail. #TakeBackTheTax is far from the tobacco industry’s only weapon to derail the new tobacco control legislation. Japan Tobacco International (JTI) has already poured money into radio adverts encouraging the public to protest the proposals on freedom of choice grounds. Meanwhile Tisa has employed scare tactics for months, implying that the proposed law would be responsible for everything from investors fleeing South Africa to bankrolling organised crime syndicates. Tisa has tried to justify its opposition to the proposed legislation by claiming that the government is using inaccurate economic impact data. The real story behind the tobacco industry’s united resistance to the legislation, however, is far more sinister. Big Tobacco’s indignation at this new bill is merely an escalation of the industry’s long-standing efforts to interject itself in government initiatives against tobacco smuggling, relying—as ever—on relentless misdirection to “paint itself as both the victim and the saviour”. This modus operandi is a well-established staple of Big Tobacco. Indeed, the industry’s self-reported good intentions routinely threaten to derail international policy efforts against tobacco smuggling. Tobacco companies have used data they themselves have funded to overstate the size of the cigarette black market and to claim that plain packaging efforts will lead to a rise in illicit trade. Not only has this been thoroughly debunked by a number of studies, but evidence indicates that Big Tobacco is itself complicit in the trade, with cigarette manufacturers using the black market as a means of tax avoidance. Former British American Tobacco (BAT) chairman Kenneth Clarke even admitted to producing cigarettes he knew would end up sold under the table when he brazenly claimed: “Where any government is unwilling to act [on stamping out illicit tobacco trade] or their efforts are unsuccessful, we act, completely within the law, on the basis that our brands will be available alongside those of our competitors in the smuggled as well as the legitimate market”. Big Tobacco’s manipulative attempts to rebrand itself as an anti-smuggling crusader are particularly in the spotlight in the lead up to two key October tobacco control meetings: the COP8 and MOP1, aimed at taking stock of the progress on implementing the WHO Framework Convention on Tobacco Control (FCTC) – an international tobacco control standard signed by 168 countries. With the FCTC Protocol to Eliminate Illicit Trade in Tobacco Products finally coming into effect on 25 September, jurisdictions are trying to nail down the particulars of how they will track and trace (T&T) tobacco products to tackle the lucrative smuggling operations. As policymakers hash out the details of how they will follow tobacco products from factory to consumer, Big Tobacco representatives are bent on getting their fingers in the pie. The FCTC Protocol stipulates that global T&T efforts must be wholly independent from the tobacco industry. In spite of this, tobacco giant Philip Morris International (PMI) has thus far been allowed to adapt its own tracking system, Codentify—which it licensed to three of its fellow tobacco giants at no cost— to meet T&T requirements. The technology PMI has cooked up, rightfully described as a Trojan horse, fails basic security requirements and is open to code cloning, recycling and migration—all while compromising the confidentiality of enforcement investigations. Codentify’s true purpose, namely shielding and preserving the tobacco industry’s vested interest in the black market for cigarettes, is clear. The FCTC Secretariat has made it clear that Codentify is not an acceptable solution. To that end, it specified that Codentify is not even strictly speaking a T&T system, but rather “a code generator system installed at the production line that creates unique codes on packs” which might conceal hidden features unbeknownst to everyone but the tobacco companies which created it. Despite the FCTC’s outspoken opposition to Codentify or similar technology, the tobacco industry’s relentless lobbying has paid some dividends: the EU is putting in place a “mixed” solution to T&T, in which some responsibilities would be entrusted to the industry. Policymakers around the world should need no further evidence as to why the tobacco industry cannot be trusted to weigh in on the fight against cigarette smuggling, but sneaky public relations ploys like the #TakeBackTheTax campaign just emphasise how untrustworthy Big Tobacco really is. Customs officials in China have detained 245 people on suspicion of being members of a scrap steel smuggling ring that is said to have illegally sold more than 2.4 million metric tons of metal to buyers across Southeast Asia. In a statement issued this morning, China’s General Administration of Customs said investigators began a series of raids on Monday after evidence suggested a network of fraudsters was shipping large quantities of scrap metal out of the country without paying a 40% export duty. The high tariff was put in place to encourage businesses to recycle scrap steel as opposed to selling it overseas. The operation targeted some 65 gangs, members of which are thought to have avoided paying duty on the export of goods estimated to be worth 4.8 billion yuan ($750 million). 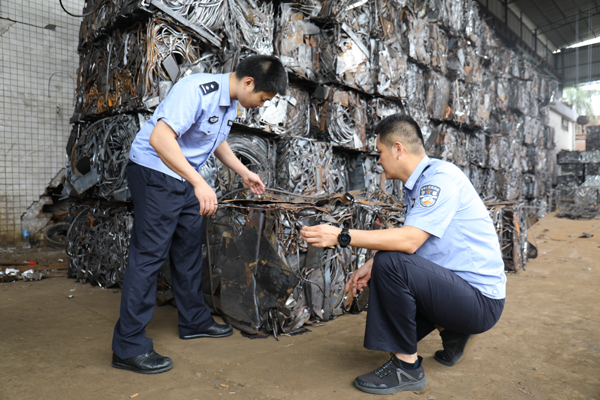 Chinese authorities were alerted to the gangs’ activities after observing a sharp rise in the amount of scrap steel being shipped out of the country, resulting in a nationwide investigation. The huge probe involved 363 teams of investigators working across 10 cities and provinces. The General Administration of Customs said the smuggling gangs, which are alleged to have worked under a Taiwanese company, bought iron and steel waste scrap in China and then shipped it to Southeast Asian countries such as Vietnam, Thailand, Singapore, Malaysia and Indonesia without paying the required hefty export fees. Chinese customs authorities have identified waste smuggling as one of their major priorities this year, and have been cracking down on criminal gangs attempting to dodge export tariffs by sneaking high-value metals out of China, which is the world’s largest producer of steel. In a statement, the General Administration of Customs said: “Steel scrap is the only substitute for iron ore in the manufacturing of steel products. According to energy and commodities information website Platts, the two-day operation and resultant arrests could adversely impact the supply of Chinese scrap metal in Vietnam, which was the largest buyer of Chinese scrap in the first quarter of this year. Shipments of scrap steel originating from China rose from close to nothing in 2016 to around 2.2 million tons last year after the government launched a crackdown on illegal plants using scrap to make poor-quality steel, according to customs data. Are drug trafficking gangs increasingly using cruise line passengers as mules?